Gun control is always a hot button issue, and in the wake of the Las Vegas mass shooting, it was at the forefront at a vigil in the Bay Area on Monday night. 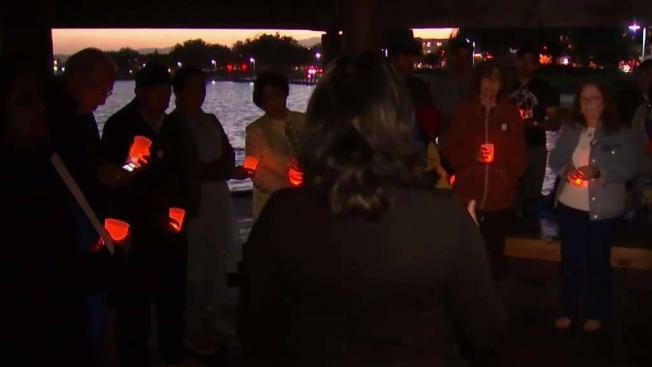 Dozens of people gathered in Foster City to share stories and urge tougher gun legislation. The issue, as expected, has caused heated rifts on social media. The vigil was organized by the Brady Campaign to Prevent Gun Violence. "Every single day 93 people are dying at the hands of a gun," group spokesperson Shikha Hamilton said. types of guns allowed to be sold to the general public. And they know the National Rifle Association, which spent $54 million in the 2016 election, is already preparing for a fight. "You can't sit here and call for ban this, ban that when you don't even know what was used," NRA spokesperson Dana Loesch said. A controversial bill to lift some restrictions on buying gun silencers was supposed to reach the House floor Monday. It didn't, and the organizer of the vigil said it never should. "Once you put that silencer on, people don't know to run," Hamilton said. "They don't know to hide. What are our elected officials thinking about?"